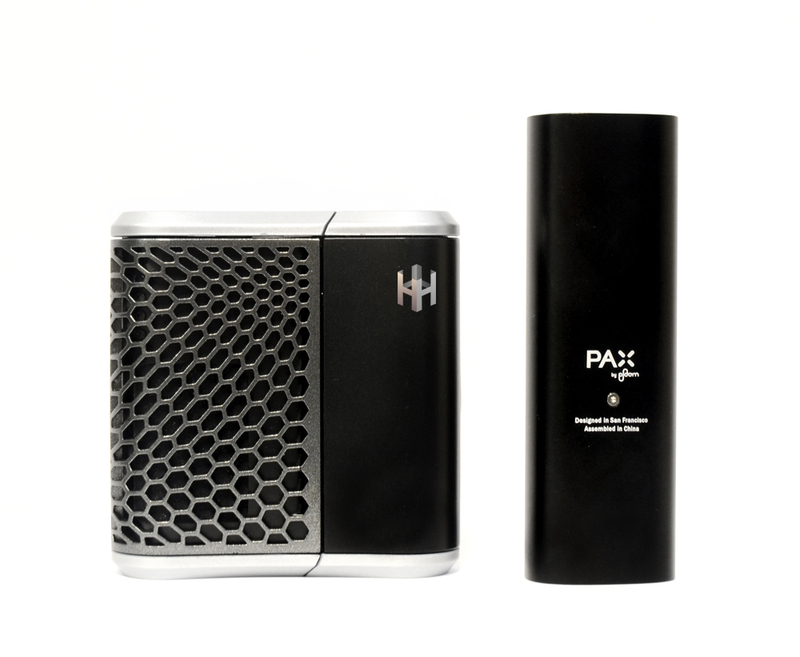 I just ordered my second Haze, getting the Stealth Black this time. I considered just upgrading my current unit (a V2 graphite gray), but I didn’t want to be without it for a week, and anyway I want to have a spare. I use mine all the time and it would annoy me now not to have one. I have to say, this device is just awesome to use. It’s easy to fill, easy to clean, does a great job of vaporizing dry herb without ever burning it, heats up in a reasonable time…it just does everything nicely. I like to have a bowl before sleeping. With the Haze I can use it right in bed if I want, with no worries about catching something on fire. And if I fall asleep before turning it off, it turns itself off in a couple minutes anyway. It detects that I haven’t puffed on it for a couple minutes, and off it goes. Very convenient. I’ve found that my herb has to be quite dry for best results, medium grind (I use a Space Case), and tamped down but not too tight. Also, it’s best if you don’t fill the cans too full. I just use dry herb, in the cans. Works just great. I should say that I’m not much of a cloud chaser. I don’t actually want huge clouds. I use the Haze indoors, and I prefer to keep the odor down. Someone sitting right next to me on the couch told me that they could not detect any smell while I was using it. I think it depends a bit on what sort of herb you have in there. Some herb has a strong smell all by itself, without heating it. But using it in the Haze doesn’t increase the odor, as far as I can tell. With my usual herb, nicely dried, there’s really not much smell at all. If I sniff the unit itself, right up to my nose, I can smell it. Anyway, even without massive clouds, I get plenty of effect. I find I like the effect of vaping much better than smoking, and it’s a lot less irritating. I almost never cough at all from it. And there’s very little residual irritation later, either. As far as effect goes, it’s just great. I get plenty of the good stuff, and none (or very little) of the bad. It’s win-win as far as I’m concerned. I’ve had my V2 for a while now (2-3 months), using it pretty much daily, and it’s just a great device. Yes, the stem gets sticky after a bit, but it’s simple to clean, just takes a few seconds to swab out the air path and wipe off the stem with iso. If it won’t drop right out easily because it’s sticky, waiting a minute until the unit warms up does the trick anyway. I guess it’s a ‘con’, but not a very big one. I never clean the cans, I just scrape em out a little with a paper clip. I rub the tops with my fingers to dislodge any particles, and that’s all I do. The rubber tops still look pristine, no warping. The cans have a little residue in them, but I can’t taste any difference. I think you can actually make the rubber tops last LESS long if you clean them with iso all the time. I don’t bother. So that’s my 2 cents worth. Great device. Great company. I love my Haze. Review by django7 on The FC Forum.